These gas mono shocks are easy to set up and offer superior handling minus the price tag associated with a full race spec unit. However, the Sport shocks are developed from the full race product, meaning that you can depend on them for year-round road and track use. The high-grade materials protect against corrosion whilst significantly reducing weight. Every Sport shock is custom built, sprung and fully serviceable. 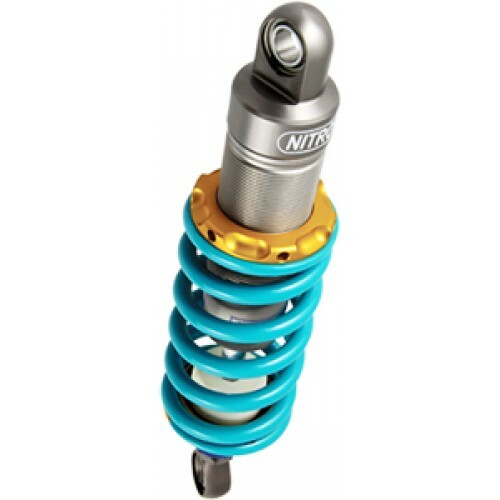 Simple yet EffectiveThe NTR Sport shock has one damping adjustment. The adjustor knob affects both compression and rebound simultaneously for simple setup and making it a more road-biased shock. The shock features spring preload as well as shock length adjustment. It comes preset for damping and preload and includes the bearing end spacers and preload c-spanner.